“This isn’t a typical lady memoir,” writes Felicia Day in her new memoir You’re Never Weird on the Internet (Almost) . 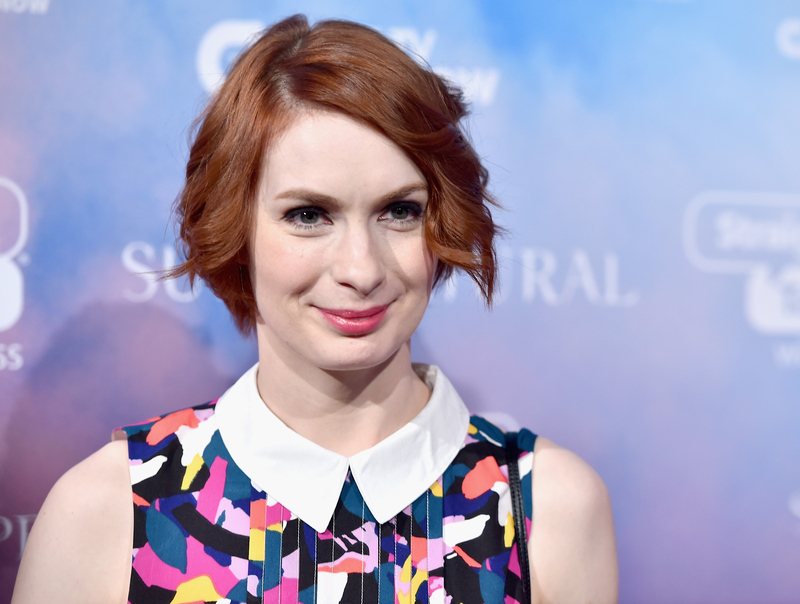 And she’s right: these 10 Felicia Day quotes totally underscore that. There are no dating stories (well, there was that one time she had a horrible first kiss with an online gaming buddy that her mom, of all people, instigated). There are no makeup tips or stories about one-night stands. It’s a book about a home schooled girl finding a community via video games, and growing up to be the creator of the crazy successful web series The Guild. The series gave a voice to female gamers, but Day's path to Comic-Con panels and fame wasn’t always so smooth. Day wasn’t home schooled for a few years and then sent to public high school so she could be “socialized.” She was home schooled the whole time. So she was alone a lot, home with her brother, playing video games and writing hilarious journal entries (some of which are in the book, in all their glory). As a kid, the sound of a dial-up modem “was the sound of freedom,” she writes. She found an online community way before Twitter was a thing. She was a violin prodigy, which earned her a scholarship to the University of Texas early, at an age when most teenagers are still dreaming about the senior prom. The Xena-esque flier she made for a college recital is inspired: In the book, there’s a photo of her in warrior woman garb, holding a flaming violin with the caption “Felicia Warrior Violinist.” Obviously a prelude to future greatness. In the book, Day talks about her addition to World of Warcraft, which ultimately led to her writing the first draft of The Guild, which was about the lives of a group of online gamers hooked on a World of Warcraft-type game. She writes about online trolls, GamerGate, the ups and downs (so many downs) of the creative process, her struggle with anxiety and depression once the success of her company Geek & Sundry took off, and the good, the bad, and the ugly about the Internet. It’s a hilarious, relatable book, whether you’re a gamer or not. It actually might make you want to play World of Warcraft—just try not to get addicted. The outcome is NOT pretty. So here are 10 quotes from the book about passion, fan fiction, determination, and letting your geek flag fly. “I love it when people tell me I’m doing the wrong thing, or that something isn’t possible, or just straight dismiss me. That lights my fire in a perverse way, like a two-year old who deliberately touches the hot stove after you tell them not to." “I love the idea of breaking the system. And the beauty of the Internet is that it gives everyone, especially underrepresented voices, the opportunity to do a little breaking." The stories and anecdotes in You’re Never Weird on the Internet make it well worth the read. If you like these snippets, there’s plenty more where those came from.